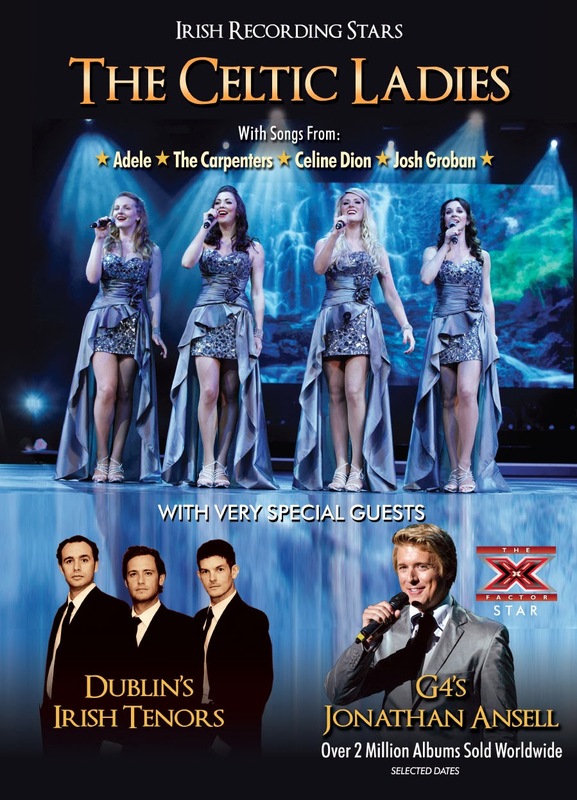 Tenor Jonathan Ansell is joining the Irish recording group the Celtic Ladies next February their 2014 UK tour along with Dublin's Irish Tenors. The show includes Celtic hits along with favourites from The Carpenters, Adele, Celine Dion, Josh Groban, and more. Jonathan will be performing at the venues listed below. Just click on the theatre to book tickets.